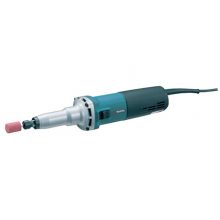 – High-speed die grinder with max. 8mm collet capacity. SJS – Super Joint System. – Ergonomically designed slim body for grinding in tight spots. – Internal labyrinth construction seals motor and bearings from contamination. – Side handle (optional extra) can be attached.